First of all, don't forget to enter my giveaway. Click HERE or click the top left hand picture on the sidebar of my blog. This giveaway is for 12 "Style Sisters" napkin rings and ends on Friday, June 11, 2010. 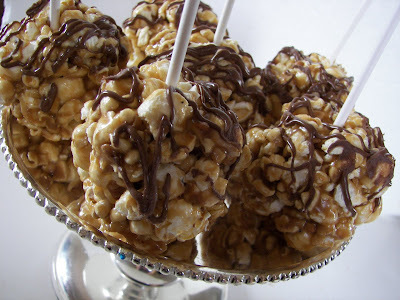 My recipes this week will feature "Sweet Treats on a Stick," a spin-off of the cake pop mania, created by Bakerella. 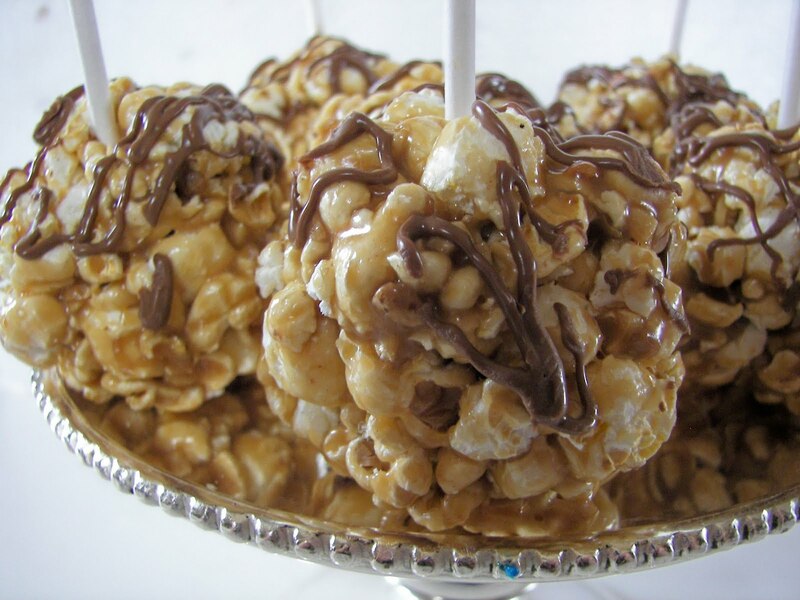 This summer, bring your kids into the kitchen and make some sweet memories while making some "Sweet Treats on a Stick!" For kids eating anything on a stick is fun; for adults it's great portion control! 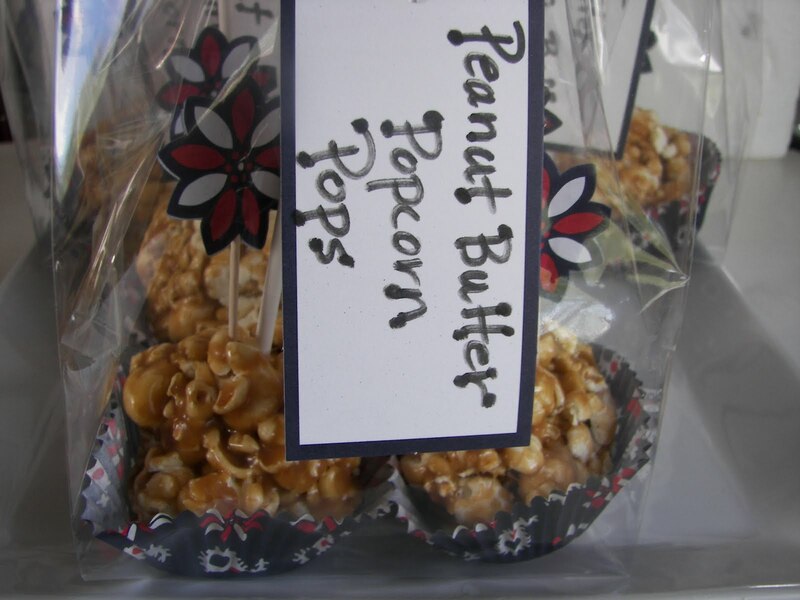 I made these peanut butter popcorn pops twice this week. I first made them for a group of girls from my church that come to my house twice a month to do activities. I also made them for my girl's swim team fundraiser. This recipe is from my sister Jackie. Yield: About 15 popcorn pops, depending on size. Mix the corn syrup, brown sugar, and peanut butter in a medium saucepan. Bring to a boil and boil for one minute; do not boil longer. Pour over popcorn. Waiting to be formed into balls. Cool slightly. Put some butter on hands and begin to form into balls a bit larger than a golf ball and a bit smaller than a tennis ball. Press stick into the middle of stick. Drizzle melted chocolate, if desired. 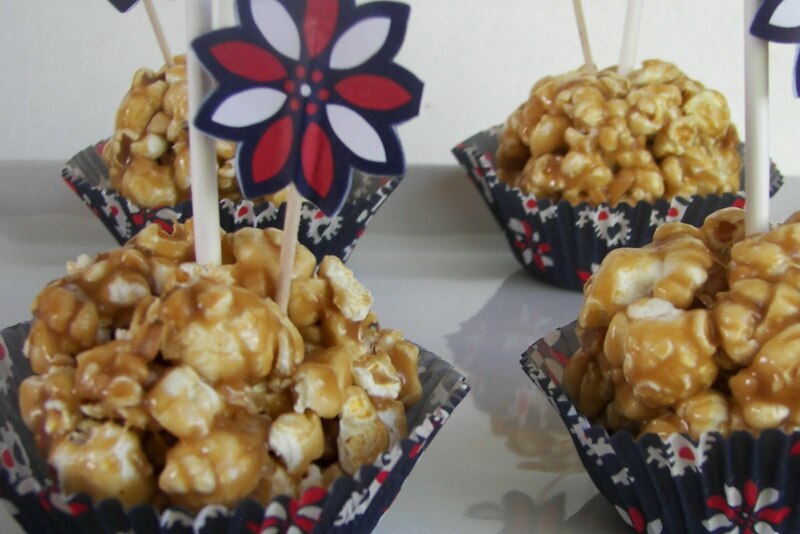 For the swim team bake sale, I put the popcorn pops in cupcake liners. I put them in cellophance bags and labelled them. They were a hit at the bake sale! 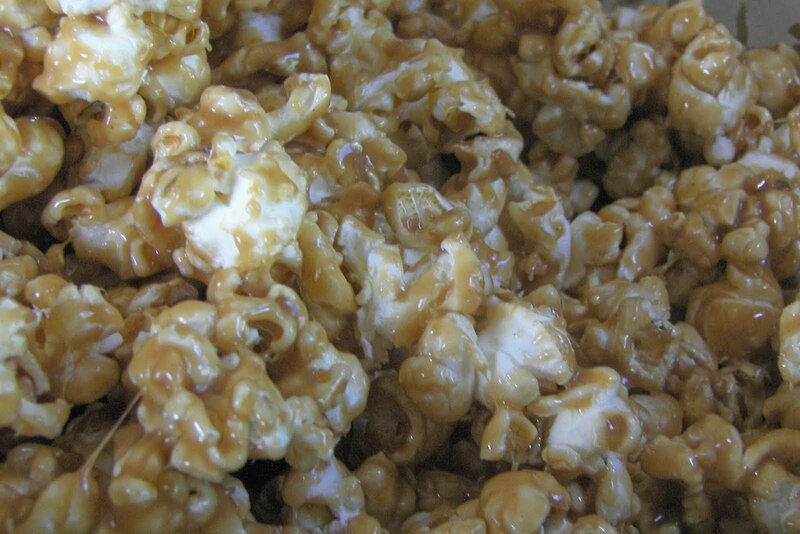 I love popcorn and anything! This gives me a hankering I think I need to make! These pops sound so good! What a cute idea with the cupcake papers and bags! Those look fantastic!!!! Great presentation of them! Well don't these look good...yummy! Holy Hanna! These look amazing! I host a Tuesday Tastes Party and would love to have you over! That treat calls to my sweet tooth and salty tooth too! It would be a great Hallowe'en treat too. 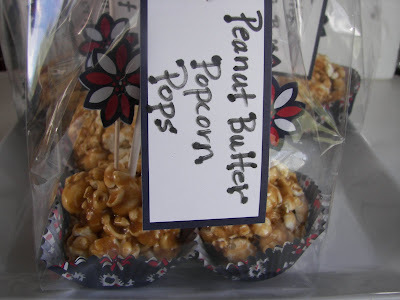 These look so yummy - I can't wait to make them with the kids! Holy smokes! I LOVE this idea. And they look awesomely delicious!!! "Watermelon" Ice Cream for Watermelon Week!